When someone logs into a collection you’ve shared with them, they can now use Facebook or Google IDs. 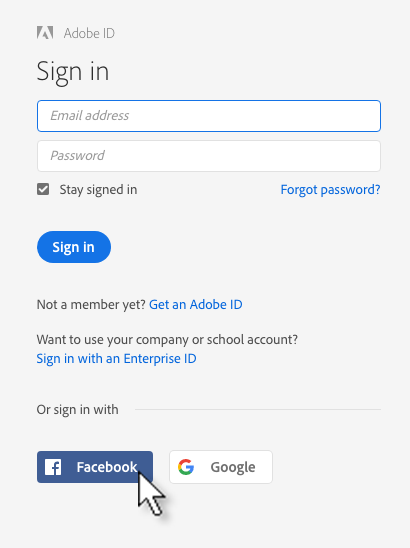 I’ve not seen any announcement yet, but from today people can use a Google or Facebook account to log into Adobe. So what? Well, for Lightroom CC users it opens up a great opportunity to squeeze more value out of your subscription, because this little change makes it so much easier to get feedback on your work via your page at https://lightroom.adobe.com, the web browser part of Lightroom Mobile which is also known as Lightroom on the Web (more here). 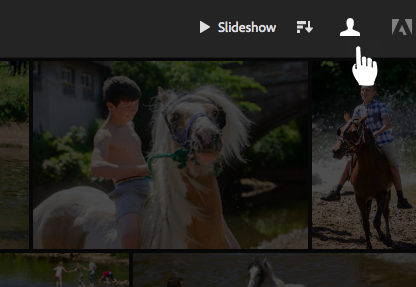 Since Mobile was introduced, you’ve been able to share sets of pictures with clients or friends. In theory at least, they could “like” photos they wanted and could exchange comments with you. Just because there’s a social media angle it doesn’t mean you’re limited to “OMG” or “LOL”. Imagine a client could annotate photos with “Please send me this full res” or “Crop on the right”, or recently I used it for a family history project and got an older relative to enter comments like “I recognise this young man – he is definitely your great grandfather on the promenade at Ramsey on the Isle of Man”. The trouble was, liking and commenting was limited to people with Adobe IDs. That’s OK if they do have one, but most humans don’t – and just try getting someone to sign up for a free account they have never needed. Much more of humanity has a Google or Facebook account though. So from now on people can log in yo view your pictures using a login they may already use. Lightroom on the Web has always seemed a lost opportunity for Adobe to offer a light client proofing workflow to Lightroom users. It’s not quite there yet – I’d like to see watermarks and filtering likes and comments in LrD – but this is a big step forward.